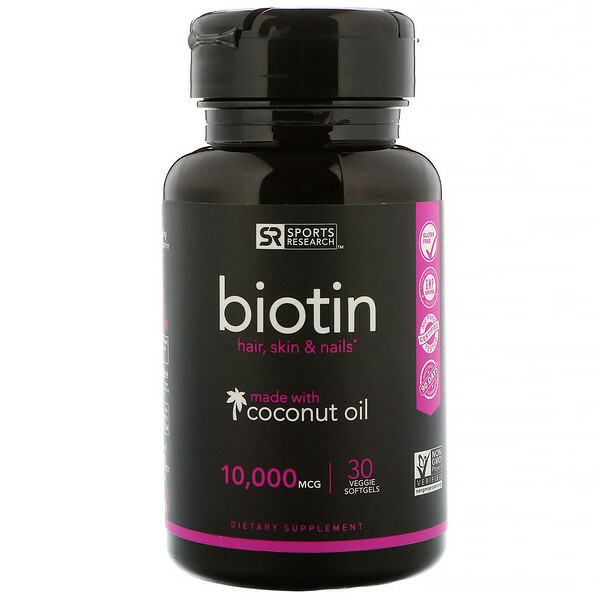 Sports Research Biotin with Coconut Oil helps to support healthy hair, skin and nails. Biotin is a B vitamin necessary for cell growth and the metabolism of carbohydrates, proteins, and fats for energy use. 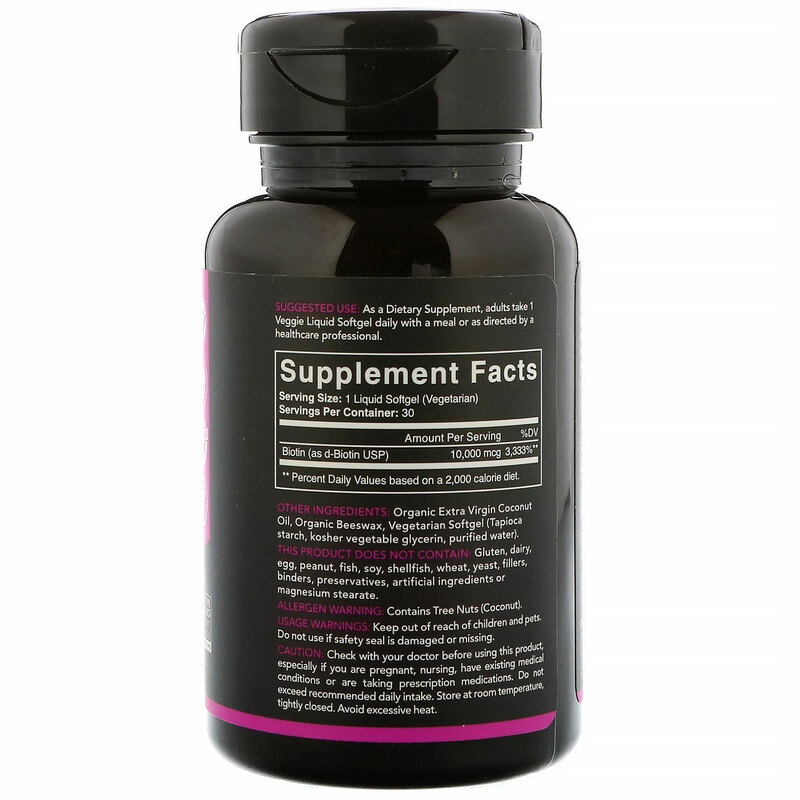 As a Dietary Supplement, adults take 1 Veggie Liquid Softgel daily with a meal or as directed by a healthcare professional. Organic extra virgin coconut oil, organic beeswax, vegetarian softgel (tapioca starch, kosher vegetable glycerin, purified water). Usage Warning: Keep out of reach of children and pets. Do not use if safety seal is damaged or missing.